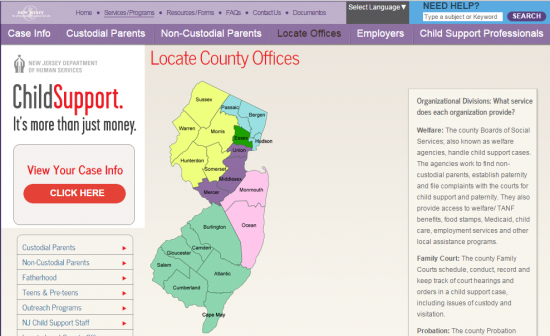 In order to enforce child support payments in New Jersey an individual not receiving funds due may be able to contact the Department of Health and Human Services Office of Child Support Services (OCSS) to institute an action for enforcement. Using the information a receiving parent provides, OCSS has the resources and authority to use enforcement tools to obtain arrearages from the non-paying parent. 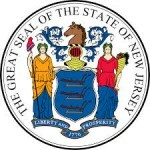 In New Jersey, a parent is obligated to pay the amount of support that is set forth in a court order from any state until the court order is modified or terminated by the court. If those payments are not timely made, the payor is in arrears and the OCSS can take steps to enforce the order to ensure that the arrearages are paid and that the child support order is complied with. Child support orders are enforced across state lines by the Uniform Interstate Family Support Act. Payments must be made in accordance with the order that was either issued or agreed upon by both parents. In order to institute an enforcement action, the receiving parent must fill out an application seeking enforcement. In New Jersey, you can fill out the application online or offline. Any information the applicant can give about the non-paying parent will be helpful to OCSS. If no, who does the child(ren) live with? Are you currently receiving Public Assistance? Did you ever receive Public Assistance? Did you ever receive Medicaid? Have you ever made a private agreement with the other parent for child support? Are there any court actions pending in any state to establish or enforce support for your child(ren)? Do you have an existing court order for child support? What court entered this order (County, State)? The current support order requires payments to be made how? Are you married to the parent of the child(ren)? Are you divorced from the parent of the child(ren)? Does the parent need an interpreter? Are the child(ren) named in this application covered? Does the parent receive any of the following types of income? Does the parent have a criminal record? Does the parent belong to any professional/trade associations? Does the parent have any professional/trade licenses? Does the parent have any other children besides yours? Does the parent own any homes or real estate? If yes, please provide the address below. Does the parent own a motor/recreational vehicle? Step 8: Check off the services you are seeking and sign and date and send to your local welfare department.